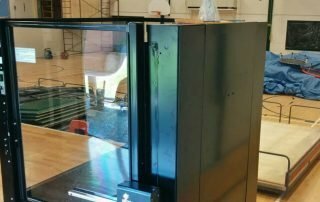 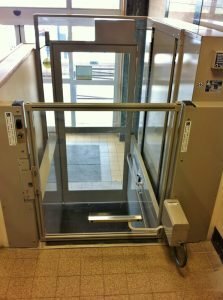 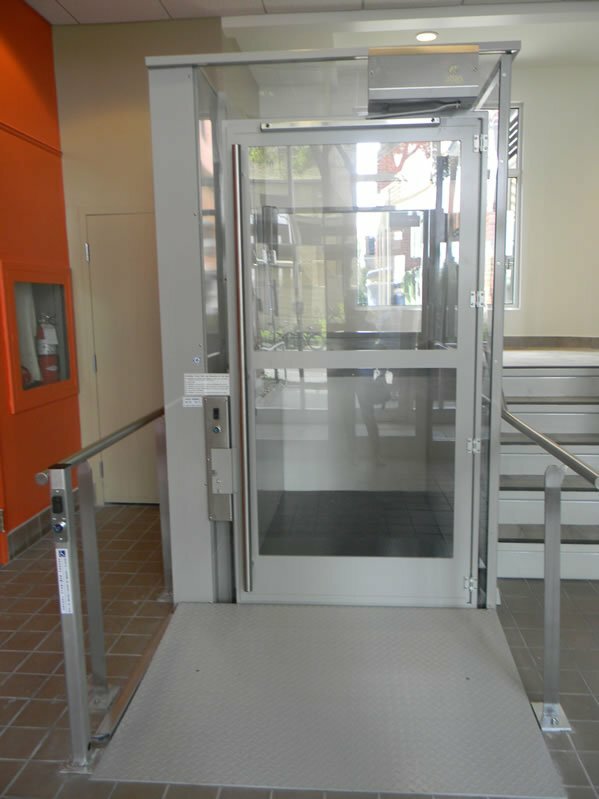 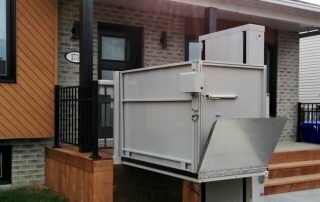 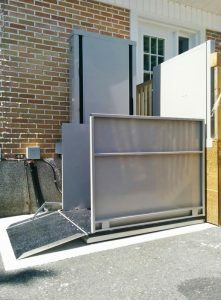 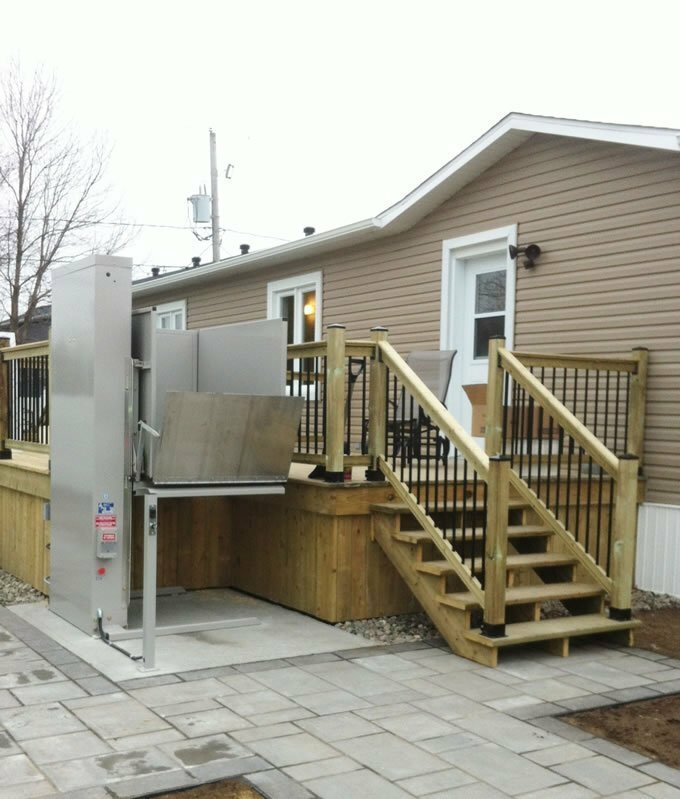 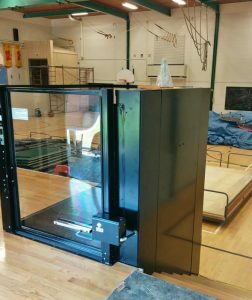 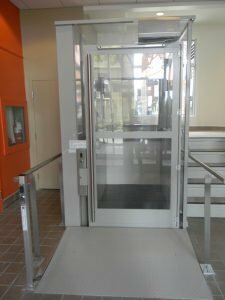 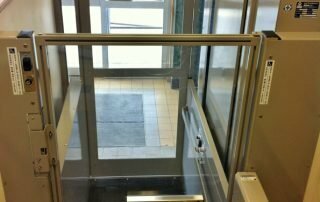 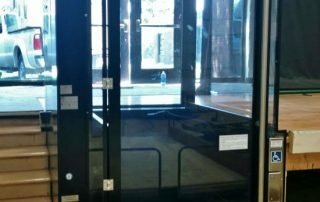 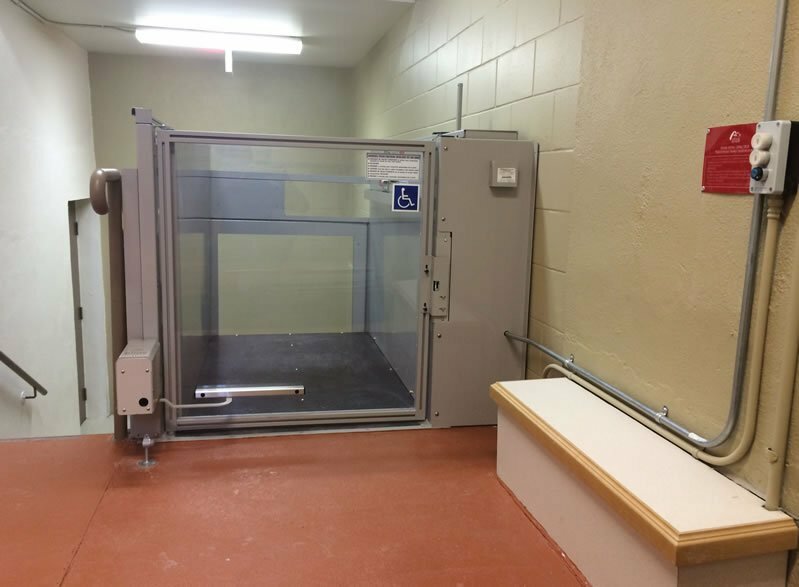 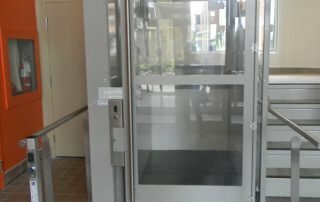 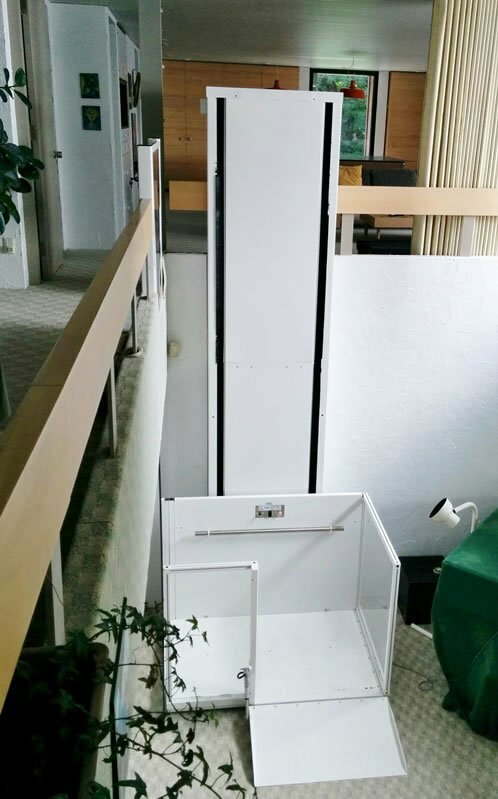 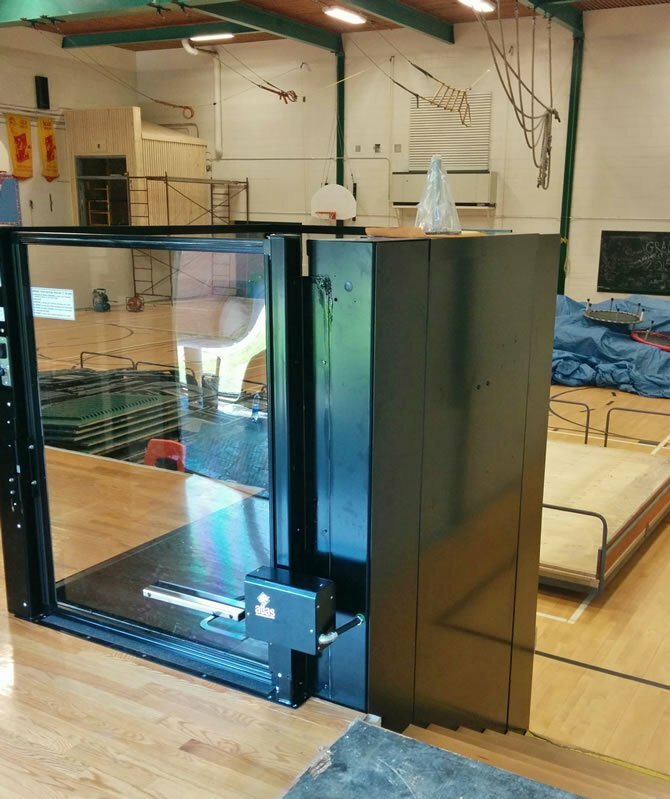 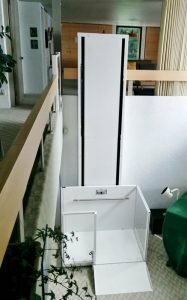 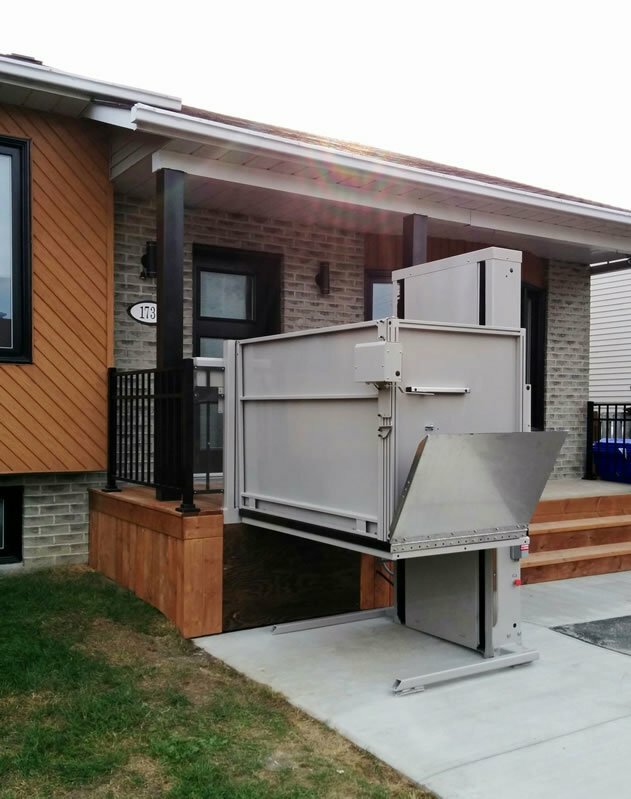 The Aspire Vertical Platform Lift is a great solution for both residential and commercial settings. 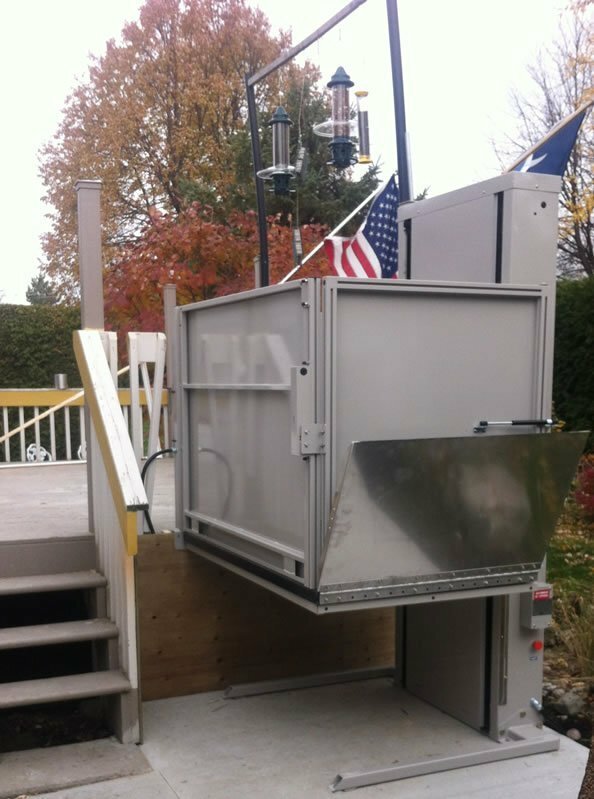 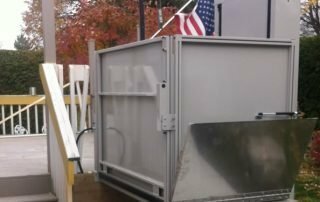 Adding to its versatility is its weather resistant non-skid epoxy coated floor and galvanized steel panel, allowing the Aspire to also be used for outside needs; porches, decks and garages to name a few. 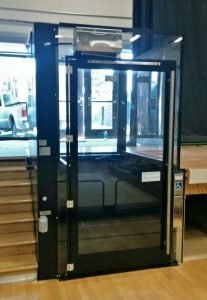 The standard Aspire has a 750 pound weight capacity. 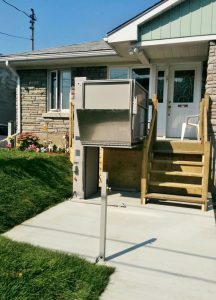 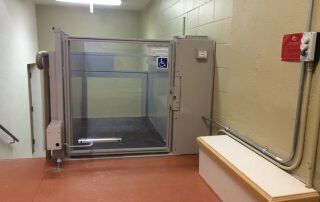 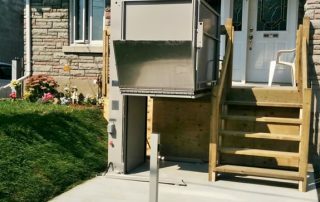 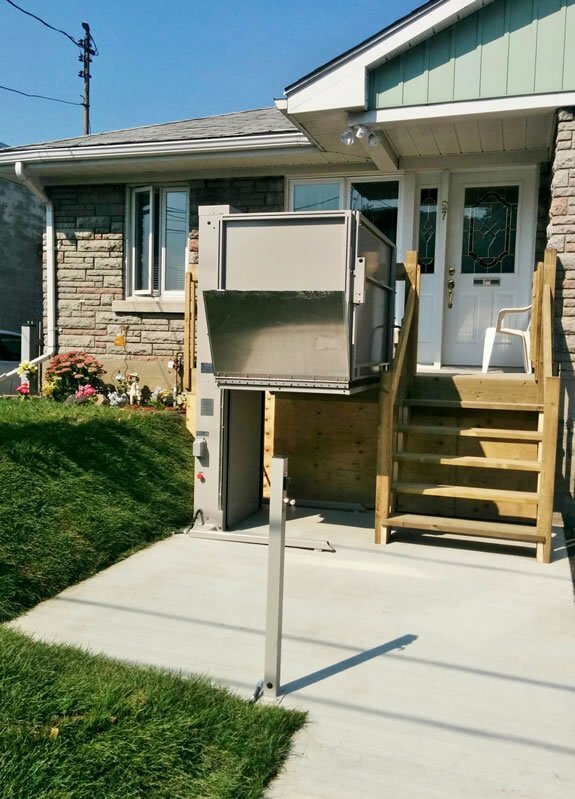 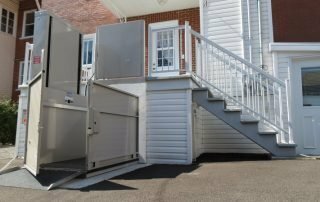 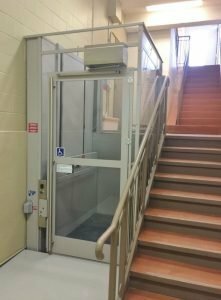 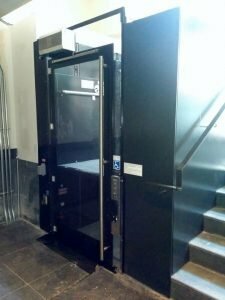 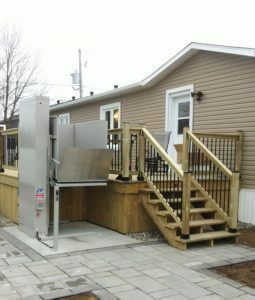 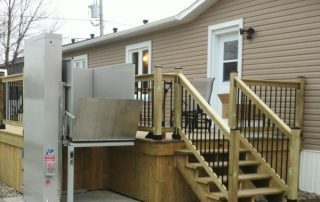 If there is a need for larger wheelchairs or the ability to have more than one person on the lift, there is a 1000 pound upgrade option available. 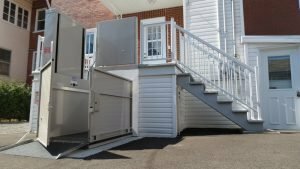 The Aspire is battery powered and has an automatic self-lowering folding ramp allowing it to work even in a power outage. Other safety features include under platform obstruction detection, emergency stop switch, anti-skid floor surface, and emergency alarm to name a few. 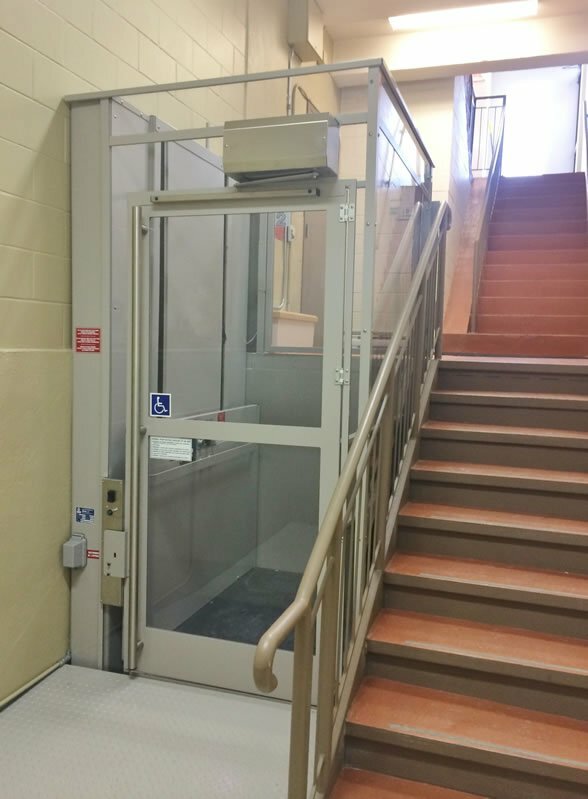 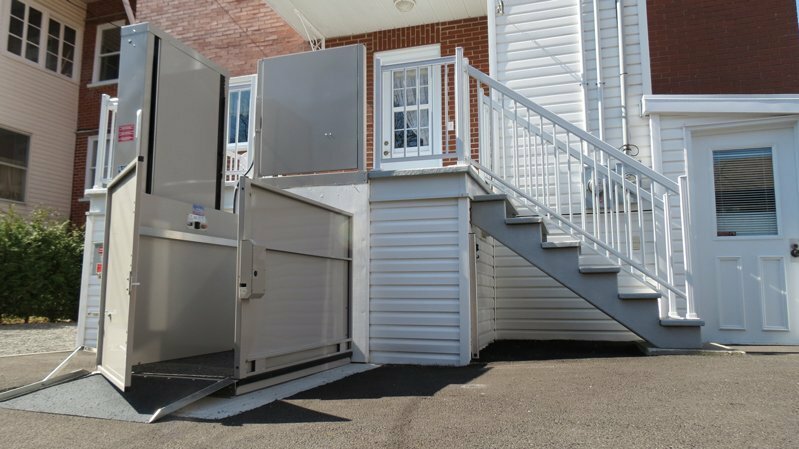 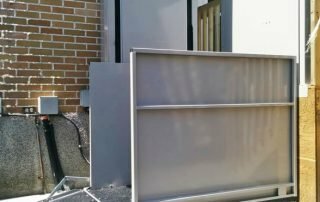 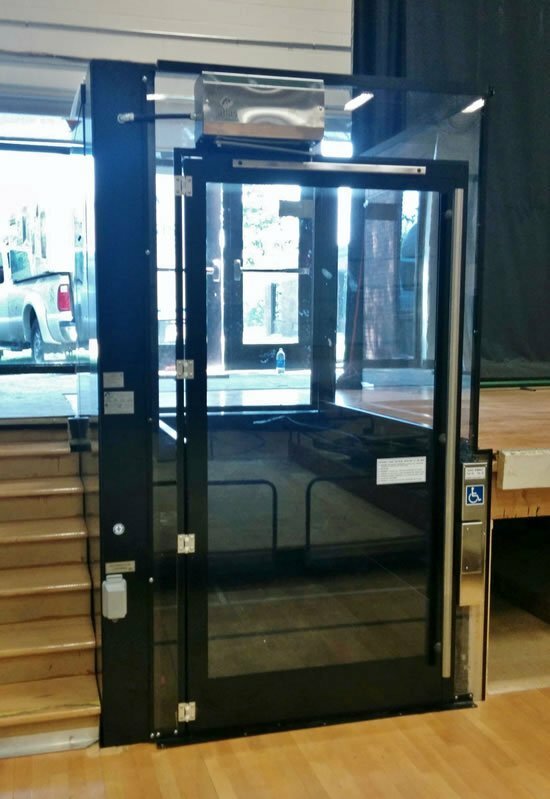 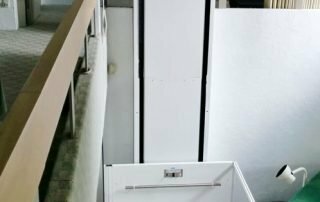 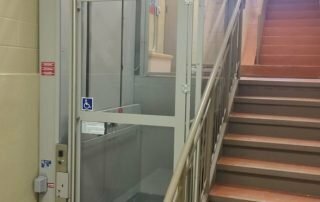 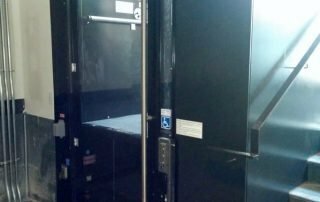 Besides being versatile and safety, the Aspire is also one of the smoothest and quietly running vertical platform lifts on the market due to its acme screw direct drive. 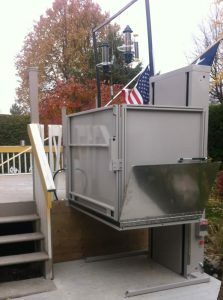 Please email Sales@PrecisionLiftIndustries.com for specific information for your area.